You are currently browsing the tag archive for the ‘aperol’ tag. With Christmas upon us, the nostalgia of holiday traditions has overtaken my sensibilities. I come from a family that thrives on traditions. And I am the first to admit that some are pretty cheesy, but I totally love it! There is comfort and reassurance in the familiar. I do not find it boring or monotonous as some may, but rather I am invigorated by keeping cherished traditions alive. We are who we are because we bring the past to the present. And as time marches on and loved ones are no longer with us we remember them in these family rituals. For example, this Christmas as I felt the sadness of losing my grandfather this past year, I couldn’t imagine not having toutaes (a homemade ravioli/tortellini). He learned to make these pastas from his mother and he passed along this tradition to me. As I rolled out pasta dough I thought about him—and in that way he will always be with me. So, what does all this have to do with cocktails? The past couple nights my adventures in cocktails have been about traditions. Monday night I continued a pre-holiday outing with my brother and sister. Then Tuesday night I met friends for a traditional Christmastime drink. 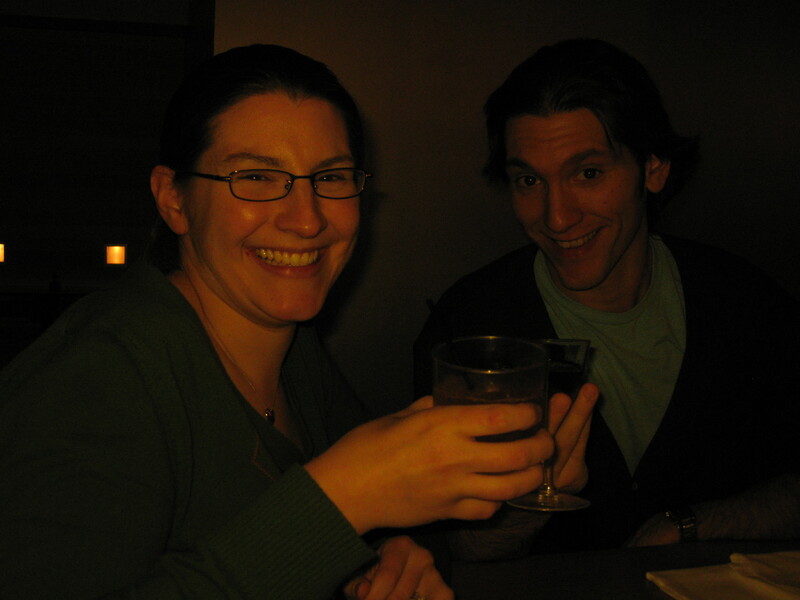 Monday night, I introduced my brother Nick and sister Jess to Drink for our 2nd annual pre-holiday outing. 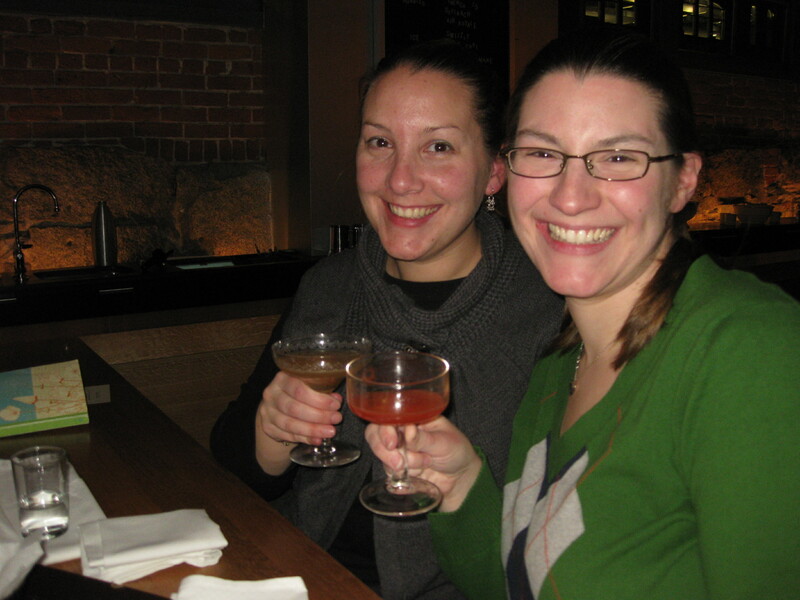 We had lots of good drinks; I won’t describe all in detail, but instead I’ll share some highlights. Jess realized that maybe she does like cocktails after all while—if any place will convince you that cocktails are fabulous, its Drink. 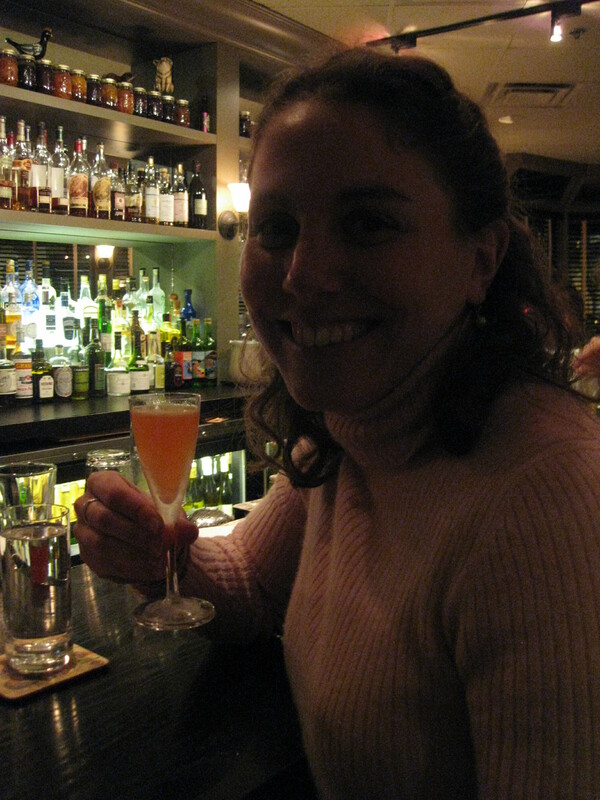 She especially enjoyed her Big Red (raspberry syrup, lemon, Aperol and vodka)—beautiful color for the holidays and it was a really nice mix of sweet and bitter. 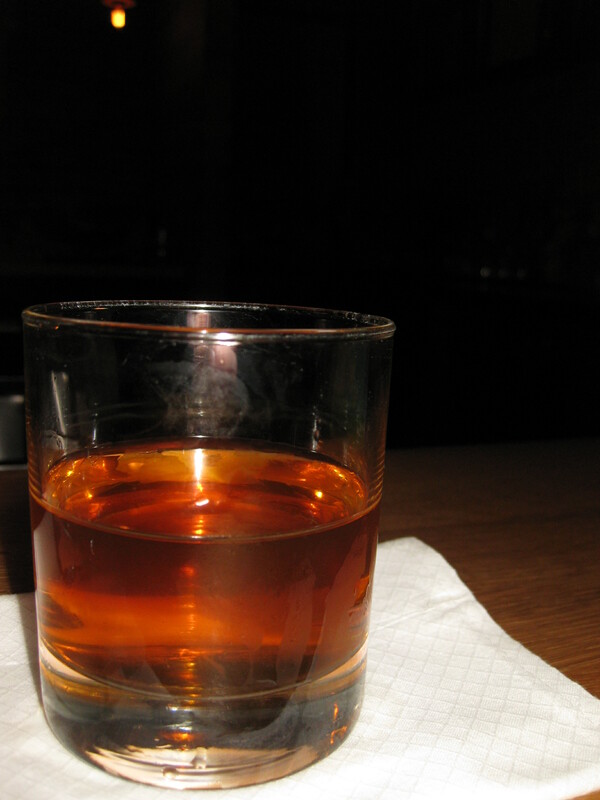 Nick wanted something a little stiffer so he enjoyed a Sazerac for the first time and then ended the evening with a Manhattan variation—equal parts Booker 127 proof bourbon and Punt de Mes—Aaron called it the Moto Guzzi (after the motorcycle). One sip of that and you realize why people drink booze to stay warm! 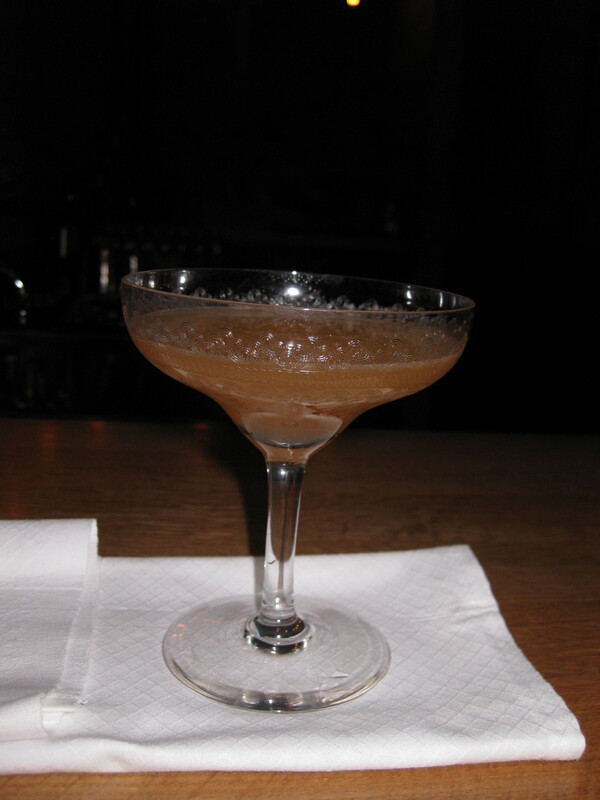 I decided to check another drink of my 100 must-have cocktails, and opted for the Champs Elysees. As I took my first sip, I kind of fell in love—why have I never had this cocktail before? 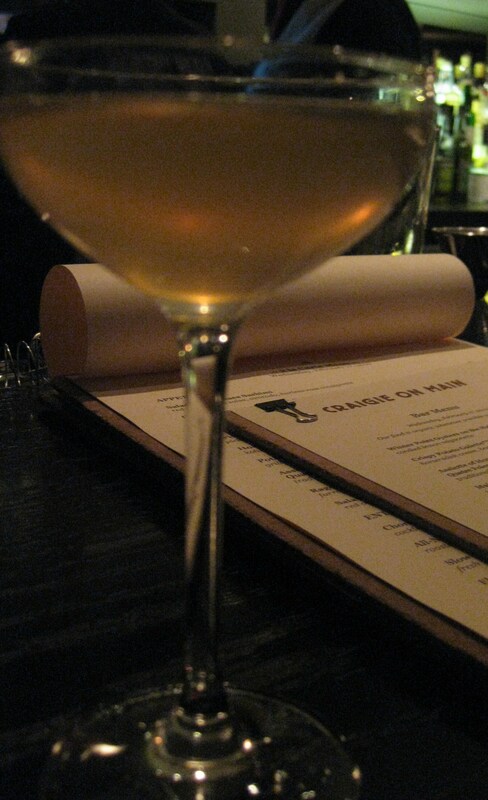 The drink features cognac, lemon, sugar, yellow Chartreuse, and bitters. Just look at that gorgeous golden color. The cognac offers a rich base and the yellow Chartreuse adds a subtle herbalness (its mellow than the green variety) and the lemon brightens the whole thing up. 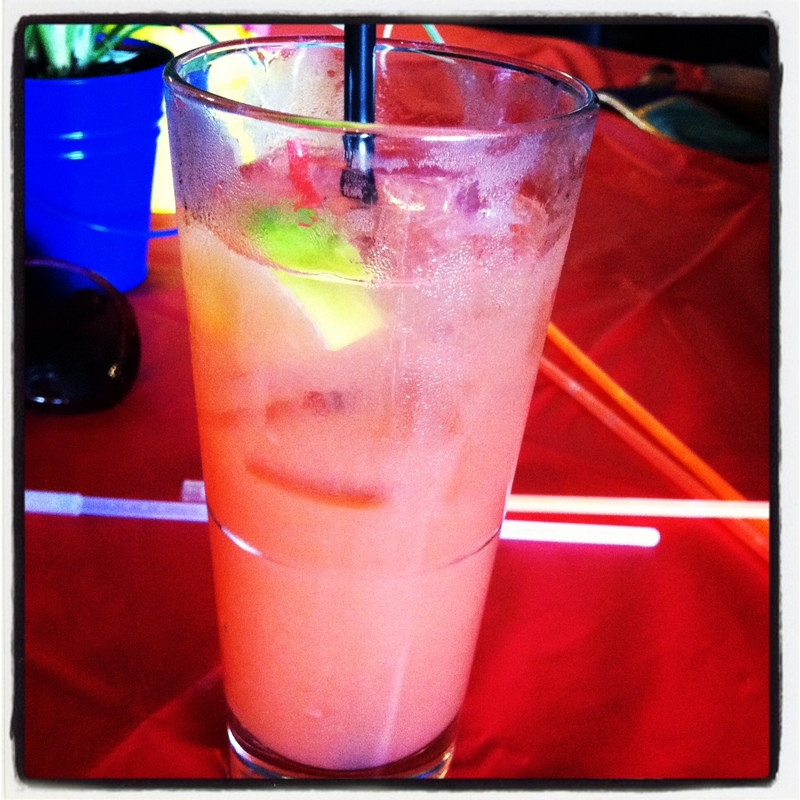 Its very drinkable and also complex in flavor. Really yum! This just may become a new favorite! 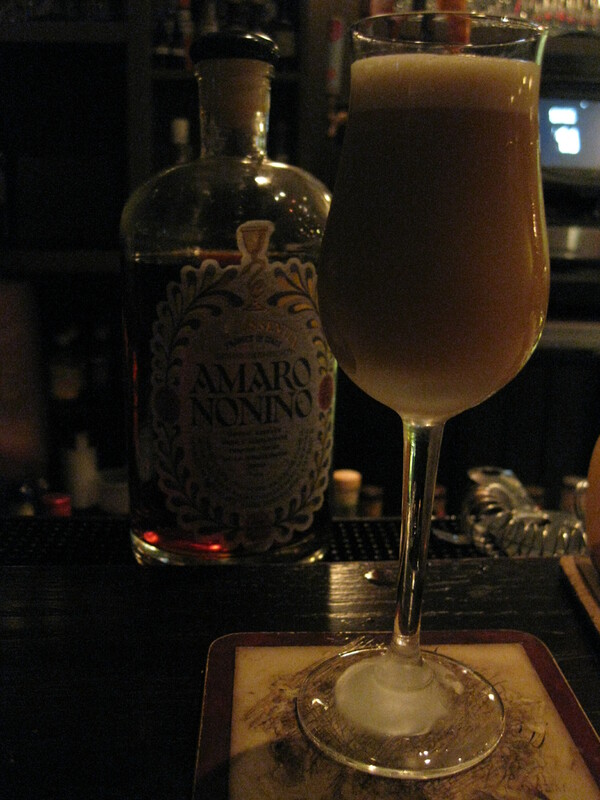 For my final drink of the evening, Aaron gave me his Battle of Hastings cocktail. This was the perfect way to end the evening. The ingredients here were the inspiration for the name. And for those of you who don’t remember exactly what the Battle of Hastings was, don’t feel bad Jess, Nick and I didn’t either. But I learned it was the 1066 battle between the Saxons and the Normans. 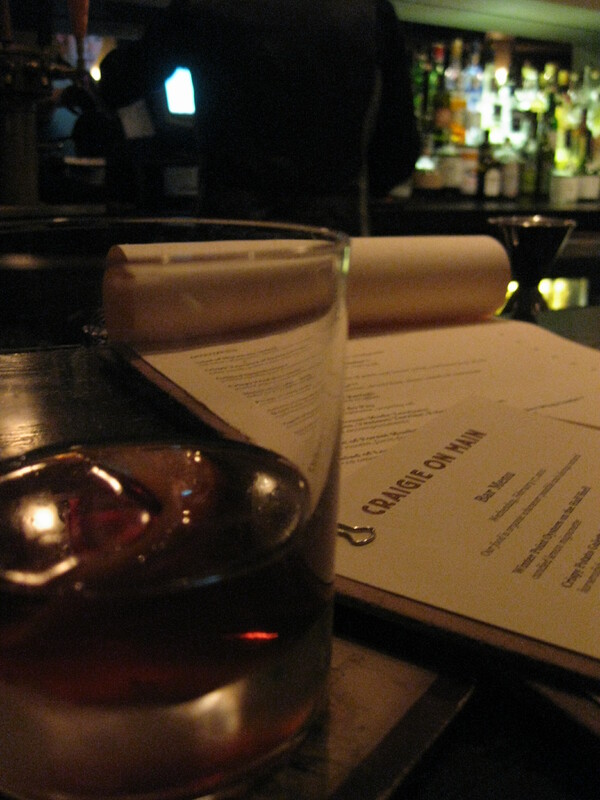 The Benedictine and Calvados are from Normandy, while the smoky Scotch is from the British Isle. But before all this yum booze gets added a demerara sugar cube is muddled with 7 dashes of Fee Bros. Whiskey Barrel Bitters (I previously thought I didn’t like these bitters, but this drink changed my mind). 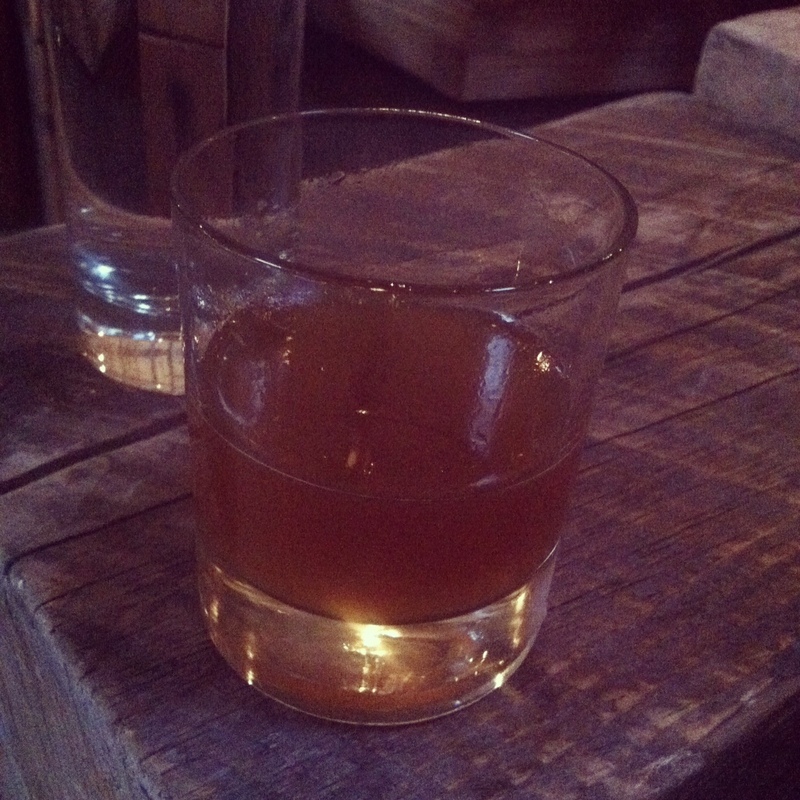 I absolutely loved the smokiness of the scotch and layers of flavors that the Benedictine and Calvados added. A perfect ending. Tuesday night, I met Molly, Matt and Jeannie at No. 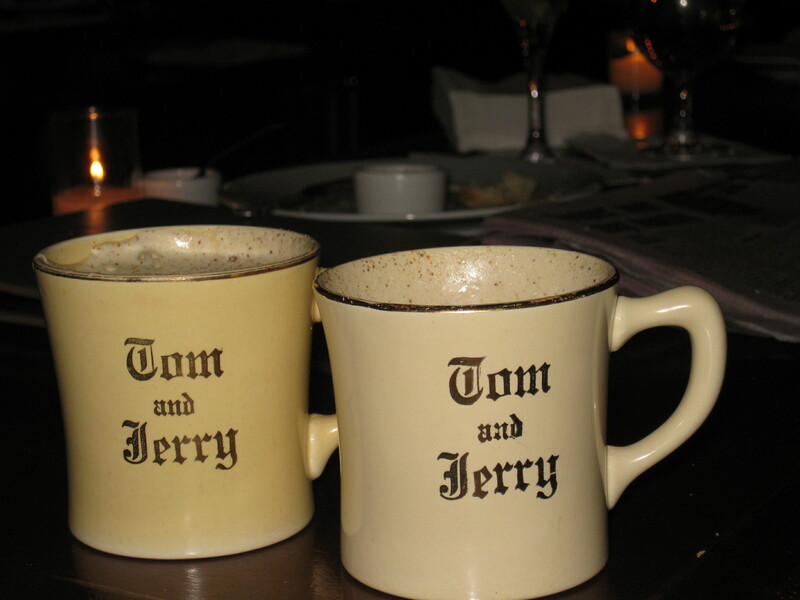 9 Park for a Tom and Jerry, a classic Christmastime cocktail developed in the early 19th century. Of course this drink has nothing to do with the antics of the cat and mouse pair we remember from childhood. Instead it is a combination of a homemade batter of eggs, sugar and spices—cloves, nutmeg and all spice—served over rum and brandy that are mixed with hot milk. Imagine sweet frothy eggnog that kind of tastes like meringue that is followed by a very boozy warm liquid. Jeannie may have described it best, “Initially you are attacked by a marshmallow, and then you are hit in the face with spicy liquor.” It may take some getting used to for some—the boozy part is really boozy—but on a cold winter evening the warm booze with sweet batter that is filled with all the flavors of the holiday season really hits the spot. Taking a break from the hectic running around that we all do before the holidays to enjoy a traditional Christmastime beverage with friends seems to be a holiday tradition I could get used to. Happy Cocktailing and Happy Holidays! Salute!